You can’t miss Harpa Concert Hall which sits shimmering by the harbour side fragmenting light and reflecting the sun, the sky and the city. The clean lines and striking façade of the building mirror the crystallised basalt columns found on the Icelandic Coast. From inside you’ll get stunning views of the city and of Mount Esja from Harpa’s various levels. 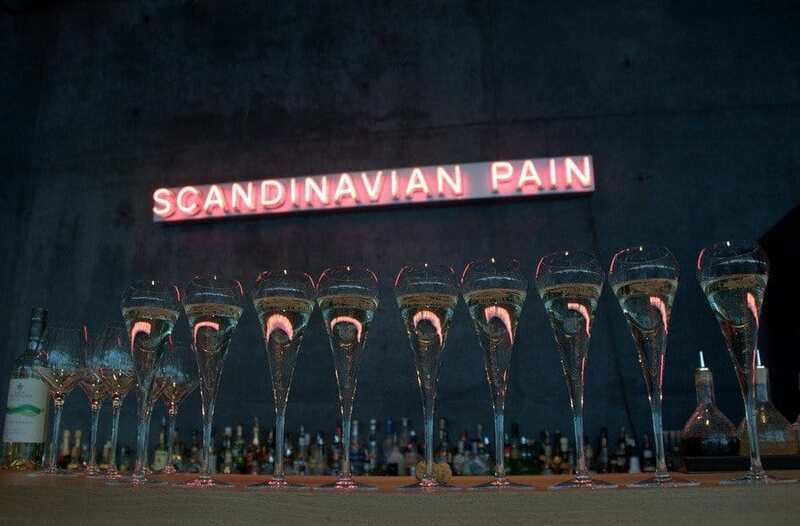 There’s also a shop selling Icelandic design and there’s more design with the neon ‘Scandinavian Pain’ art installation in the Kolabrautin bar and restaurant. A short walk from Harpa, on Faxaflói Bay, you’ll find the gleaming Sun Voyager, a sculpture by Jón Gunnar Árnason. Sun Voyager is intended, by the artist, “to be a dreamboat, an ode to the sun, and contains within itself the promise of undiscovered territory and a dream of hope, progress and freedom”. It’s made of stainless steel and sits on a base of polished granite which reflects its graceful curves. We caught Sun Voyager in the early evening when the Bay was still as a mill-pond and the setting sun was glinting gold on the gleaming stainless steel. If you want to see it with the sun coming up over the bay, you’ll need awake with the dawn. 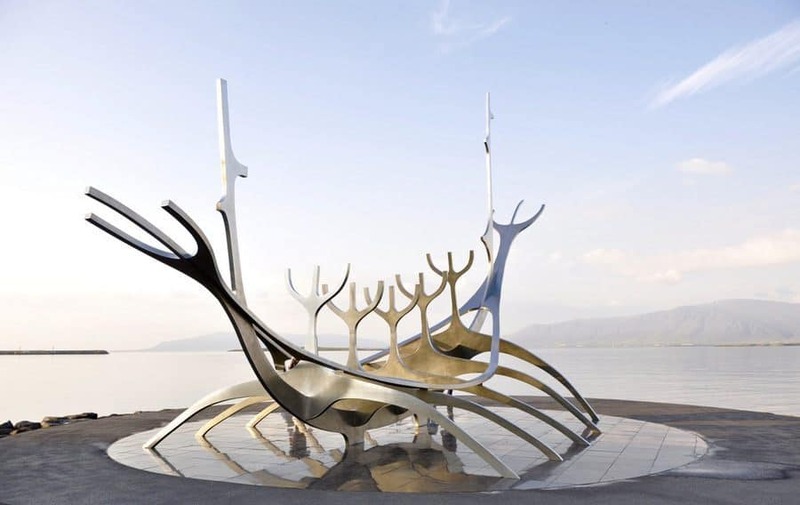 I think Sun Voyager sums up Reykjavik perfectly; affinity with the sea, culture and design. The tallest church in Reykjavik is Hallgrimskirkja. 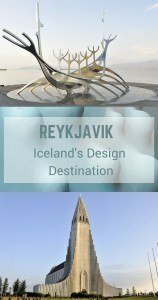 Its spire rises 73 metres into the crisp Icelandic air and can be seen throughout the city. 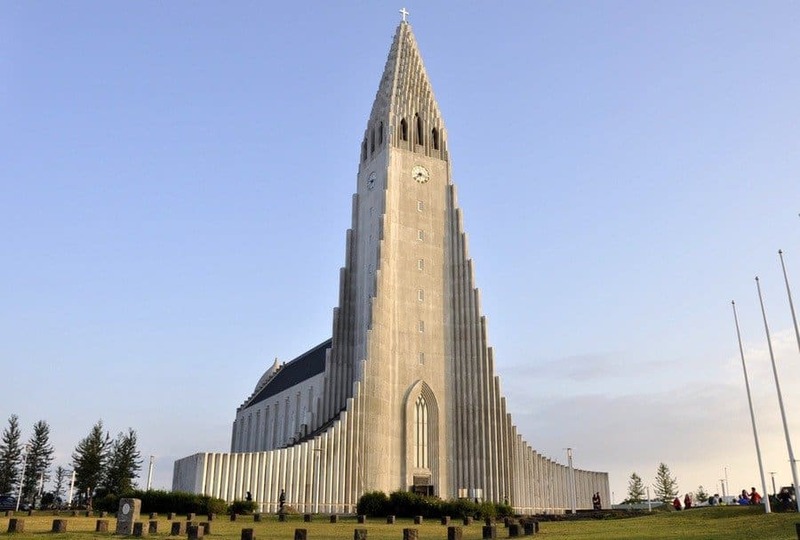 The church, designed by state architect Guðjón Samúelsson, and the white concrete columns either side of the tower built to resemble Iceland’s basalt lava flows. I’d call it modern-gothic. The church took 38 years to construct and was finished in 1986. Take the lift inside to the top for a panoramic view of Reykjavik’s colourful rooftops. 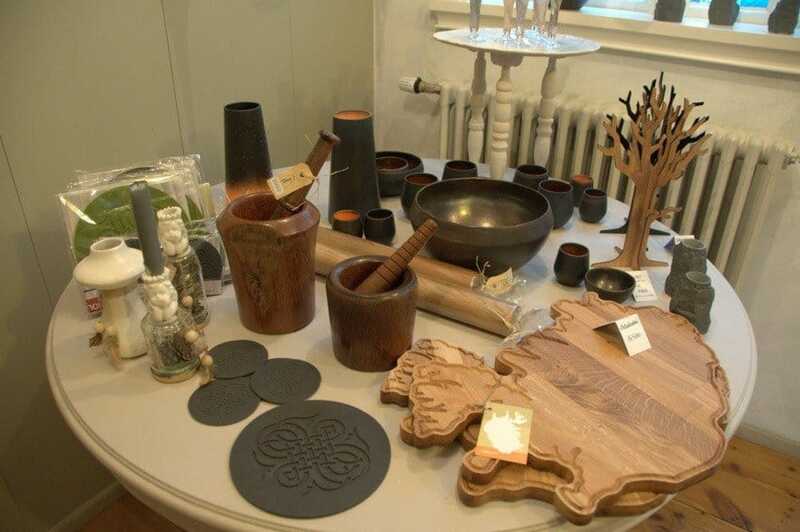 It’s not all about the big stuff – in Reykjavik’s shops you’ll find a whole heap of Icelandic design which will fit nicely into your suitcase. 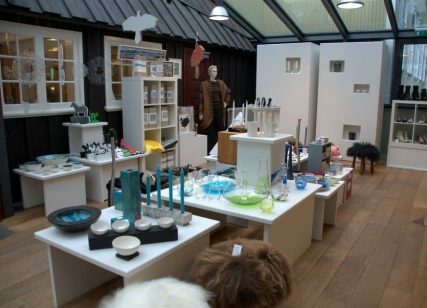 Kraum, which means ‘simmering’ in Icelandic stocks only Icelandic design and is housed in Reykjavík´s oldest house. 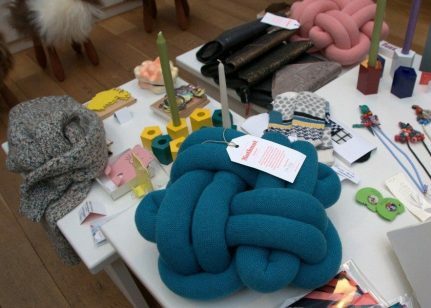 You’ll find works from over 70 Icelandic designers, like Sigurður Már Helgason’s 1970s iconic Fuzzy Stool, and you’ll want to take all of it home with you. 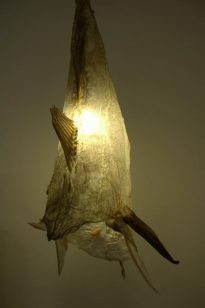 Well, maybe not the fish skin lampshade. Sadly Kraum closed down in 2018 but there are many shops in Reykjavik with a similar vibe, although maybe not as large. I knew I’ve mentioned them before on the blog but I just love these Lopapeysa jumpers. They keep you cool in the summer and toasty warm in the winter. 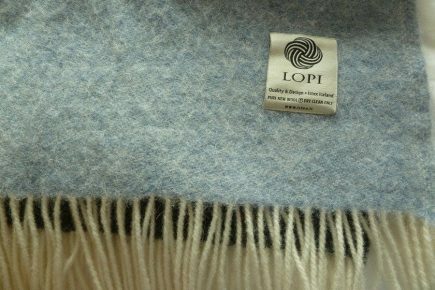 Lopi is the wool that’s used to make them and ‘peysa’ means sweater which is how they get their name. If you see one of these iconic jumpers you know instantly it’s from Iceland from the designs and patterns. 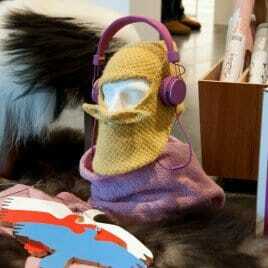 They are hand-knitted all over Iceland and are for sale in most shops. Sadly I didn’t have time to buy one so I guess I’ll just have to start knitting! 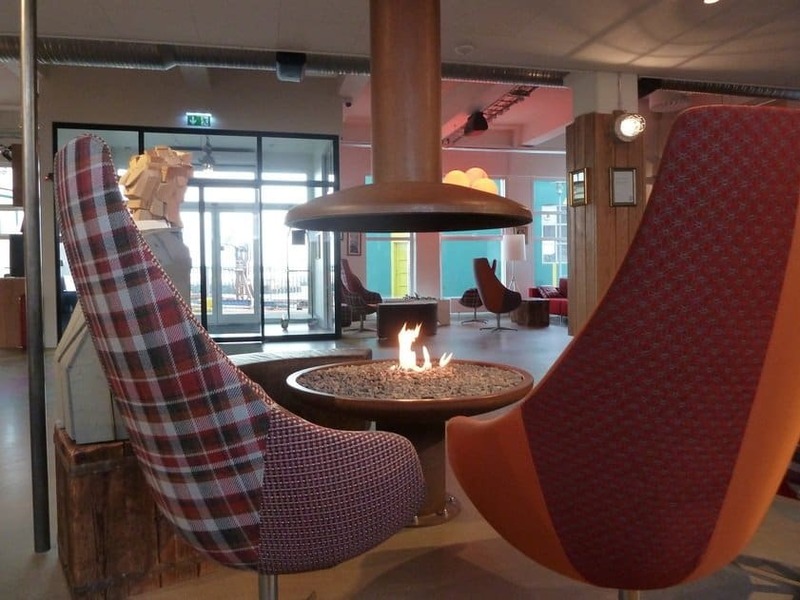 This Reykjavik design hotel stands right next to the dry-dock and slipway in Reykjavik Harbour and it’s bright, colourful and vibrant. Inside you’ll find cool, quirky elements and nautical oddities reclaimed from the harbour area. It also has a fun bar area, restaurant and serves up a great breakfast. 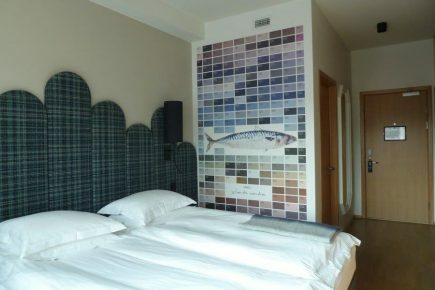 I’ve stayed in Icelandair Reykjavik Marina Hotel twice and can personally recommend it. The light, airy rooms are filled with locally sourced design elements. The breakfast and food is good and there’s a buzzy sociable air to the hotel. 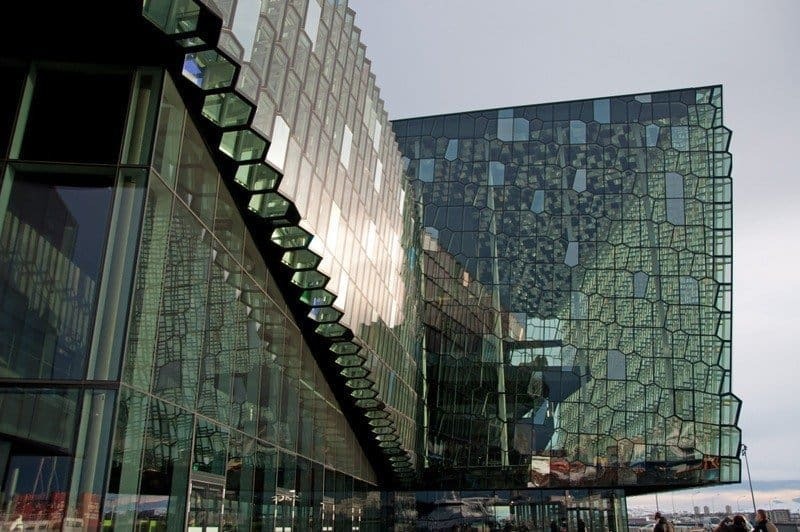 It’s just a ten-minute walk from the town centre and a few minutes from Harpa so it’s perfectly located for exploring the city. 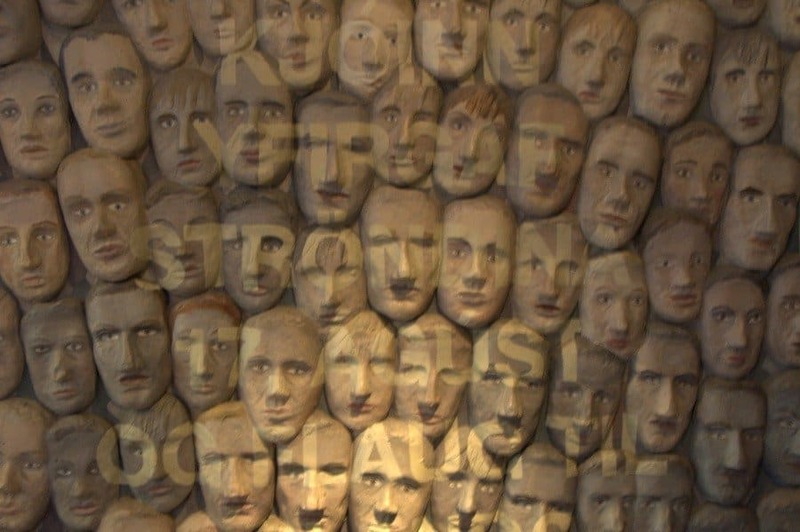 Many Reykjavik hotels have art installations like this one at 101 Hotel in the town centre which has a gallery too. 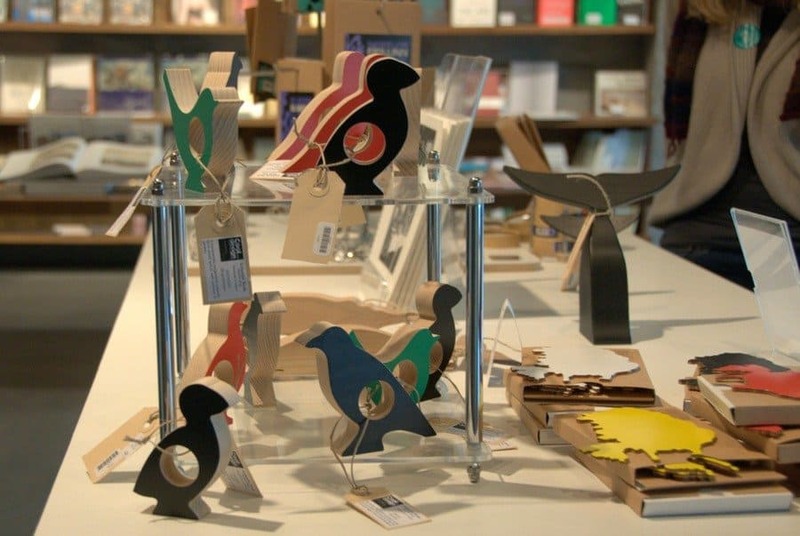 Reykjavik design is all over the city and not just in the architecture. It’s everywhere; bars, cafes, restaurants, it’s in hotels and even peeping out from people’s windows along the street. Then there’s more in the museums and artist shops. You can’t set foot anywhere in Reykjavik without encountering art, design and creativity and that’s one of the reasons I love it. Many thanks to Celebrity Cruises for hosting my 24 hours in Iceland. 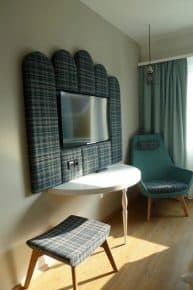 • Tips for Visiting Reykjavik – Iceland’s Capital of Cool – Is Reykjavik the coolest city on earth? 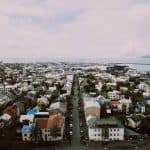 I loved my time in Reykjavik and think it is one of the best city break choices around. I regret not bringing some design souvenirs home from the gift shop in Harpa – and if I could have afforded one, I’d definitely have bought one of those jumpers! You’re right it’s the perfect city break destination. I never got to check the price of the sweaters but am sure they were expensive as they’re all handmade. That’s why I need to get knitting! Lovely pics, Reykjavik is such a great city I’m going to have to go back and see some more soon! I feel the same way – would love to do a road trip and drive the ring road exploring all the highlights on the way. Love a bit of wilderness! So beautiful! 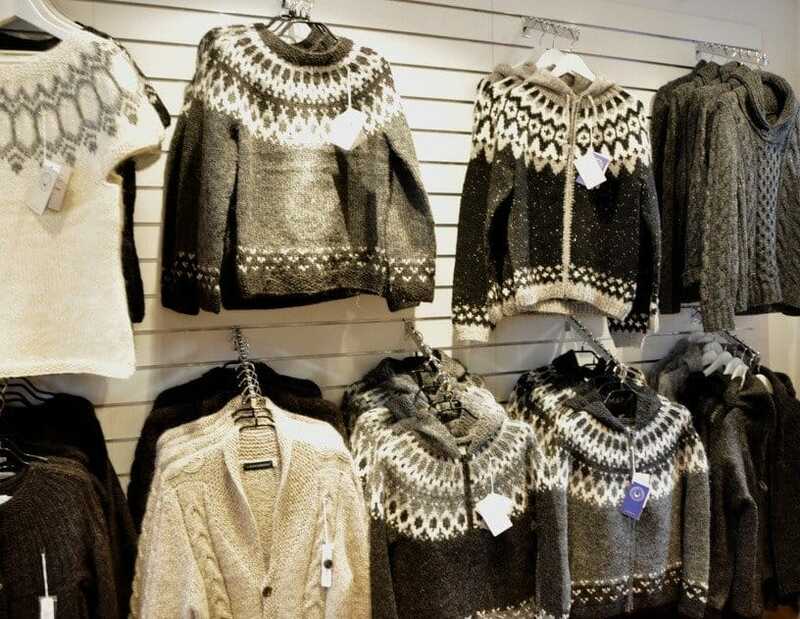 It’s definitely not just Iceland’s landscapes that are beautiful, I’m so picking up one of those jumpers when I go. The architecture is incredible! I love the church, the Sun Voyager and the concert hall. 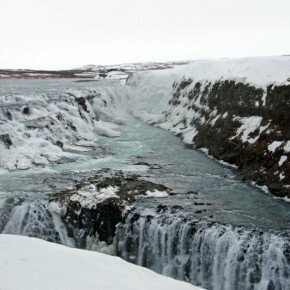 Iceland is firmly on my “must visit” list!